"Some segments within the US government orchestrated the attack to reverse the declining American economy and to save the Zionist regime," Iranian President Mahmoud Ahmadinejad said in his Thursday UN speech. 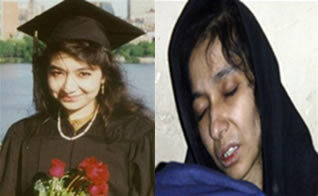 The same day, about three miles south, a veiled Aafia Siddiqui, sentenced to 86 years for trying to kill Americans in Afghanistan and who also plotted New York attacks, charged Israel was connected to 9/11. "I'm not anti-Israel, but, yes, I have said they masterminded 9/11 and I have proof of that," said the MIT-educated Pakistani.